We love one of a kind furniture pieces, especially if they’re vintage or thrift store finds. But that doesn’t mean that we don’t have some traditional, run of the mill, furniture pieces in our own homes. Simply because sometimes you can’t beat the low price tag that comes along with big box store purchases. 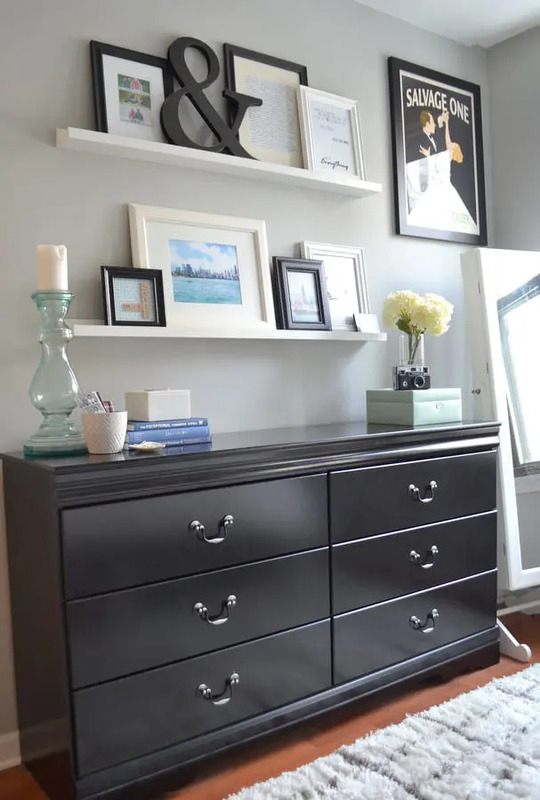 Take for example, the black dresser in our bedroom. We purchased this piece from Ashley Furniture back when we lived in St. Louis. It’s fine…I mean it does its job and holds lots of clothing, but it isn’t the most attractive piece ever. 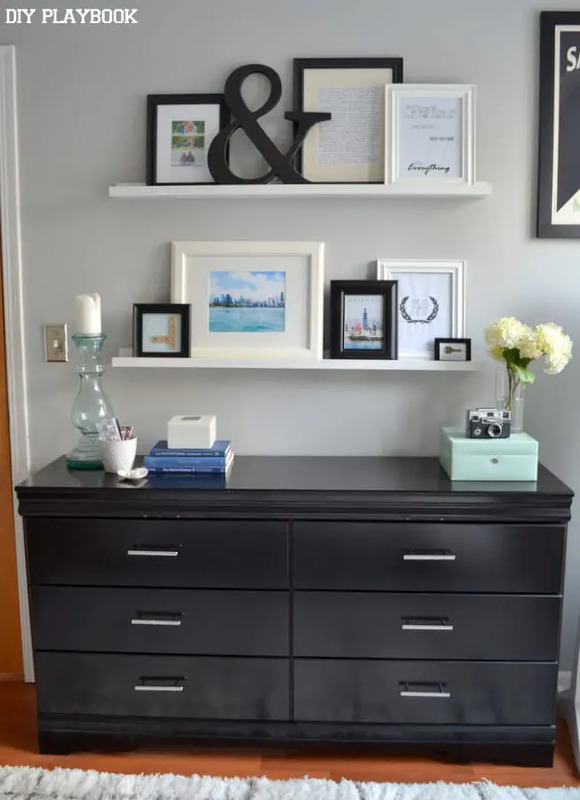 But I can’t exactly justify getting rid of a dresser that is in great condition, simply because it doesn’t really mesh with my style anymore. So I had to come up with another plan… After staring at the dresser for a solid 30 minutes one day (with Finn periodically passing by our bedroom door to make sure I wasn’t in a comatose state) I figured out why I wasn’t too keen on this piece. 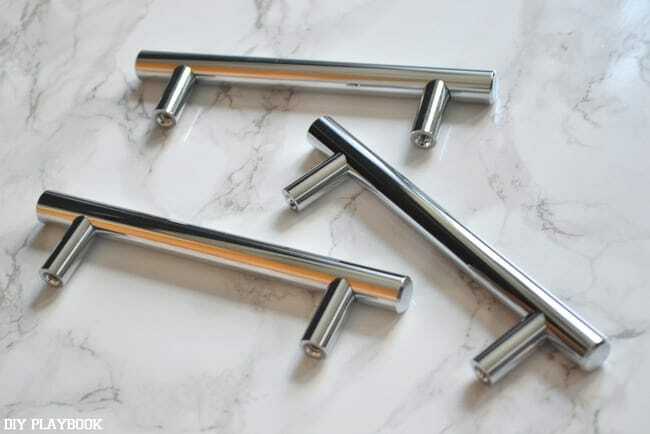 The drawer handles! They’re a little too gothic and traditional for my taste and brought the dresser down a notch (or 5) on the style scale. Once I nailed down that these handles were, in fact, the culprit, I immediately got my screwdriver and took them off the dresser. 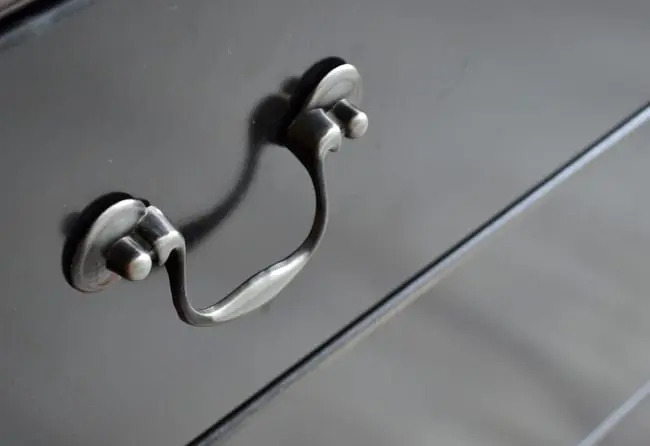 Never mind the fact that we still needed to open and close the drawers on a daily basis, and I had no backup handles. I just needed them gone. Stat. I knew I wanted something contemporary, sleek, and silver and after some online shopping, I finally settled on these ones. Make sure you measure the handle size very carefully. I originally measured incorrectly and thought that “hole to hole” it was 4 inches…when in fact it was 3.75 inches. That .25 definitely makes a difference! So no rounding up or down….get an exact measurement! Once I received the (correctly sized) handles, I screwed them on immediately! Wow. 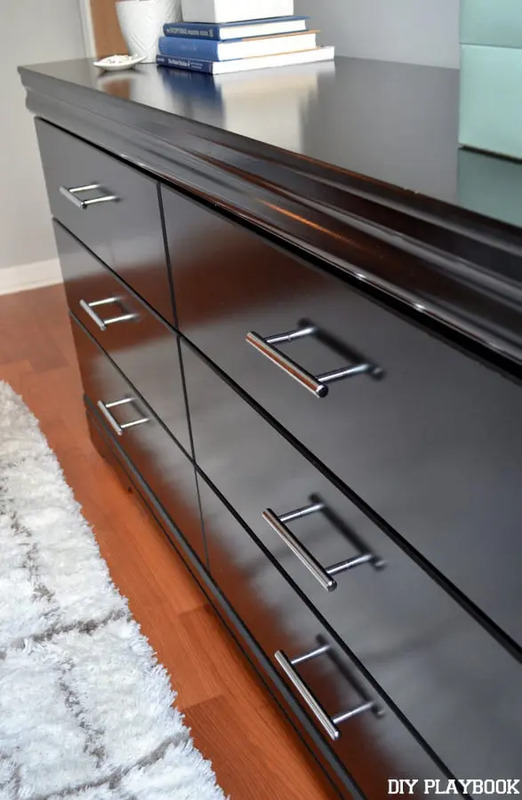 Those little handles made a big impact on the overall look of the dresser. Goodbye, Outdated Dresser. Hello, Gorgeous! I’m digging this mini makeover. It’s like the dresser got some new sparkly jewelry. You know…kinda like a bejeweled statement necklace to go with a boring outfit? We will save our pennies to buy a new dresser, but the upgraded hardware will do for now. 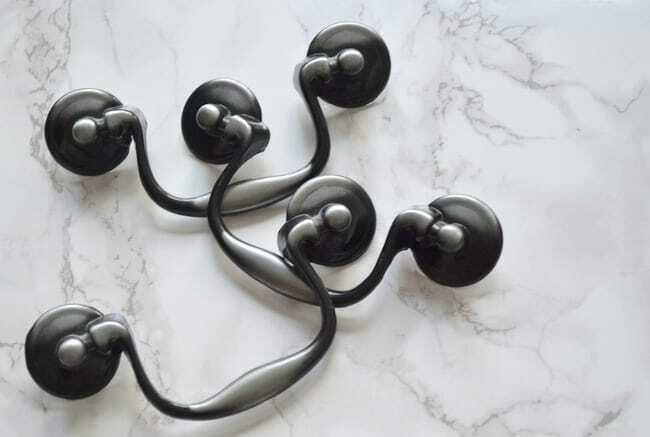 So if you have any outdated furniture, it just might be worth it to spend a few extra dollars to give your piece some new jewelry hardware.